European cuisines are very diverse and very sophisticated. Chorizo and tomato sauce pasta. European countries were fighting each other for the good part of two thousand years, at least since Greek and Roman civilizations saw the light, until the creation of the European Community; where all their still strong voices can be heard and European countries can disagree in harmony. It is no surprising that each one have developed a strong tendency to cook things their own way. Many of the European nations were world powers in the seventeenth, eighteenth, and nineteenth century, when the spectrum of available foods widened enormously. After all, it was Europe’s hunger for spices the driving force behind all explorations and the fuse igniting the events that shaped the world into what it is today. From the culinary point of view, French cuisine is the base of Western cuisine and the one to set standards during many years. 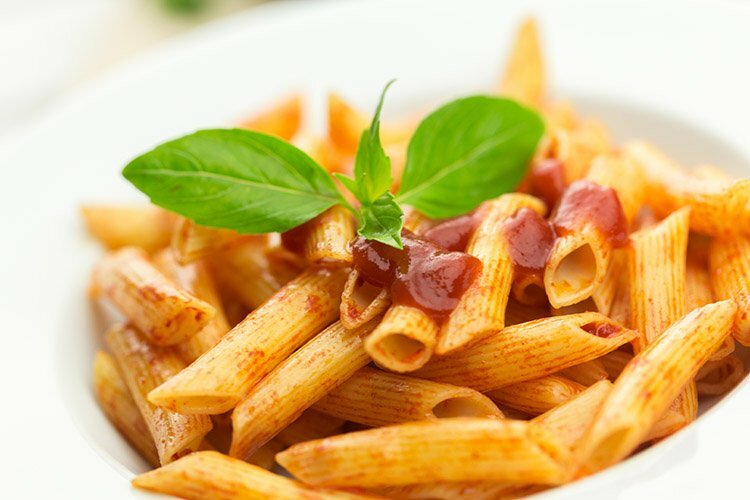 Though pasta is a Chinese concoction, it was the Italian cuisine the one to get it into everyone’s menu. Apart of being the most innovative country in today's food world, Spain opened the door through which many ingredients - think tomatoes, potatoes, vanilla, chocolate or peppers, particularly chili peppers - came into all kitchens. We could talk for days about British cuisine, or their lack of it. Gastronomy is taken seriously in Europe. Food, always an important matter, is elevated to gourmet status there. Let’s sniff around, from borscht to colcannon, with gravad lax and Greek spanakopita on the side, before give into the one pastime that Europeans hold so dear: eating. Is British food truly that bad? Find out food traditions, the way of living and eating and the best of today’s British food. Food in Belgium offers an insight into Belgian cuisine, restaurants, and food shoping. It is more than food in France, where cooking and eating a well prepared meal is an important part of the culture. When writing about Greece it is traditional to start with the ancient days of Homer and his heroes, quickly jump through the vast periods of Roman and Turkish occupation, then concentrate on the current offerings in the tourist centers Greek cuisine is interesting, varied and healthy, many times mentioned as an example of a healthy Mediterranean diet, that is why food in Greece is an overwhelming subject. There is also a selection of Greek recipes. Foods in Italy is a brief description of popular foods in Italy; just to know what to expect if you travel there or to be able to plan your own Italian meal. Enjoy food in Ireland and try the most popular Irish recipes. Food in Spain is a quick glance to Spain, the new food wonderland, and what is behind the feast of color and taste food has become in the Spanish table. Swiss food reflects the country's love of nature and their clever use of regional, seasonal ingredients. Is Russian cuisine good? This question cannot be answered with a simple yes or no. Russia is a vast country whrere land and climate vary tremendously from one region to the other and so does the food. We should not speak of Russian cuisine but of Russian cuisines. Creme brulee or creme anglaise is a dessert made from a thick, vanilla flavored custard and topped with caramelized sugar. Crema Catalana is the Spanish version of this recipe, but the custard is more often flavored with lemon zest and cinnamon. The North European recipe collection is growing. Not all countries are yet represented in our selection of European recipes. It is still a work in progress.